Exhibition Art and Fashion Week is officially included in the calendar of the New York Fashion Week 2017 and will become the next chapter of this significant event. Sponsors: Vella Wine Bar + Kitchen and Vodka Khortytsa. September 15, 6 – 9 pm – opening night, cocktails, meet and greet the artists. Live music. September 19, 7-8 pm – “Fashion Portfolio: Design and Presentation,” an exciting lecture by Anna Kiper, a professor at FIT and Parsons School of Design. Anna’s lectures are popular among designers and artists in the fashion industry as well as those who are fond of fashion. 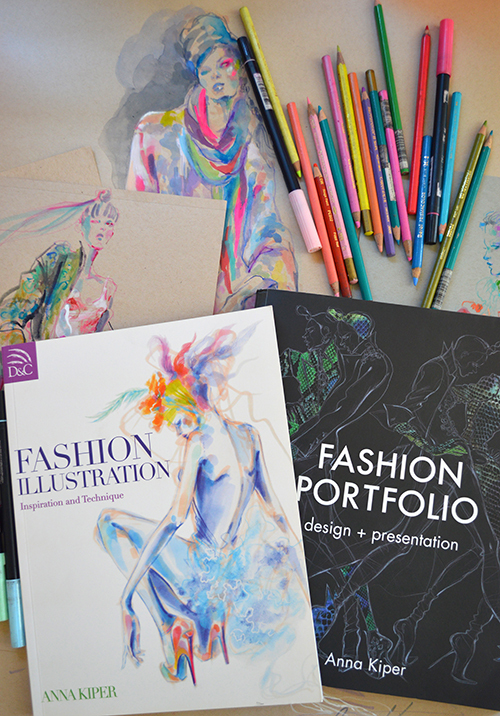 Anna is the author of two popular fashion books, “Fashion Illustration: inspiration and Technique” and “Fashion Portfolio: Design and Presentation”, sold worldwide in many languages. 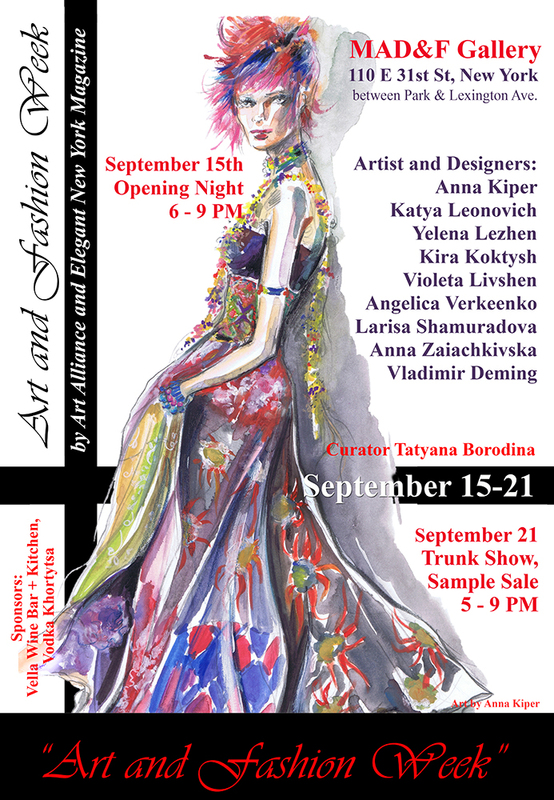 September 21, 5 – 8:30 pm – Trunk Show and Sample Sale of designers’ works: Katya Leonovich, Kira Koktysh, Larisa Shamuradova, Vladimir Deming, Marina Gershman. 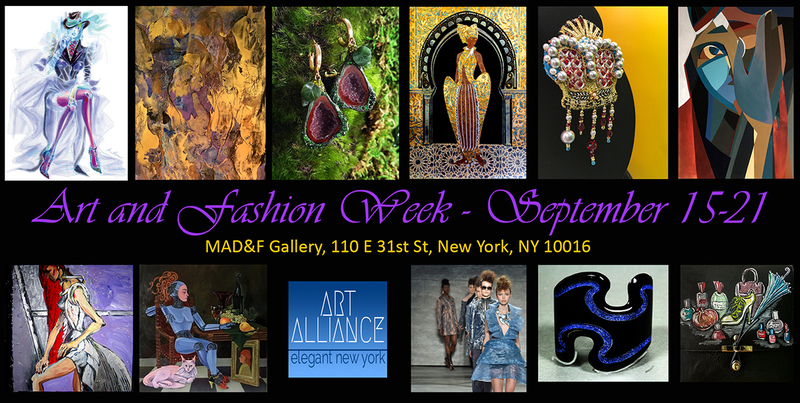 Art and Fashion Week Exhibition by International Art Alliance and Elegant New York Magazine will tell the story of fashion ideas from conception to realization. What precedes and accompanies the birth of a new trend? The exhibition will illustrate this exciting process from designer’s inspiration to a runway show. It is no coincidence that we chose this original and multifaceted theme for the upcoming exhibition. As experience shows, in addition to being a launchpad for new trends and a major sales platform for fashion designers, NYFW always generates a keen interest in the artistic process of creating new styles. What serves as a trigger and a source for inspiration? How is a creative idea visualized and manifested by an author? The exhibition will lift the curtain, behind which lies a world where inspiration, ideas and designer creations are born from fantasies, fairy tales and dreams; where romance and nostalgia for the exquisite styles of centuries passed find their embodiment in the modern times. 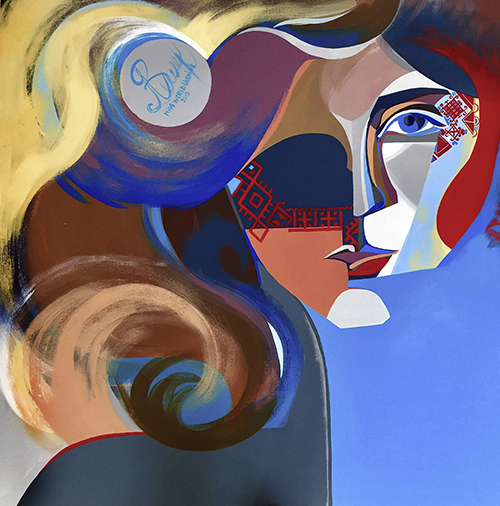 The artworks of Yelena Lezhen, Angelica Verkeenko, and Violeta Livshen invite viewers to immerse themselves into the metaphysical world of piercing elegance and beauty and feel the deep connection between reality and fantasy, the past and the present, art and design. These painters are well known around the world, and their numerous exhibitions in the US and Europe always attract countless collectors and art lovers. 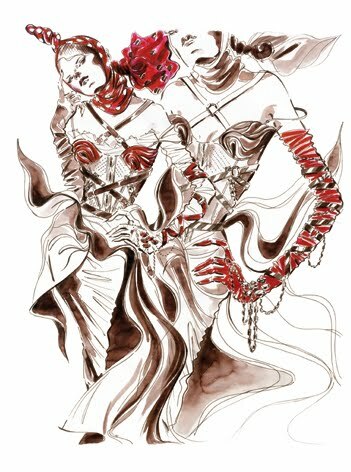 Anna Kiper, a famous illustrator and fashion designer, will become our guide on the path from fantasies to an idea, and then to the industry reality. Her lecture titled “Fashion Portfolio: Design and Presentation” will be a part of Art and Fashion Week Exhibition. One could say she knows everything about the art of fashion and image visualization. 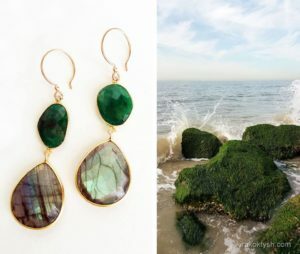 Her Bohemian series is truly unique and will be exhibited for the general public for the first time. For Katya Leonovich, there are two elements that she can call her own, painting and fashion. Her series of watercolors was created and recreated on metal specifically for Art and Fashion Week by Art Alliance. It is a rare chance to discover yet another dimension of a famous fashion designer’s talent. For 10 years, Katya has been successfully showing her collections at New York and Paris Fashion Weeks. The exhibition will also feature her designer works and paintings. The combination of fashion, performing arts and painting permeates the life of our debutante – Anna Zaiachkivska. Anna bears the title of Miss World Ukraine 2013, but she is also a very creative person, a talented and versatile artist, iconographer and designer. 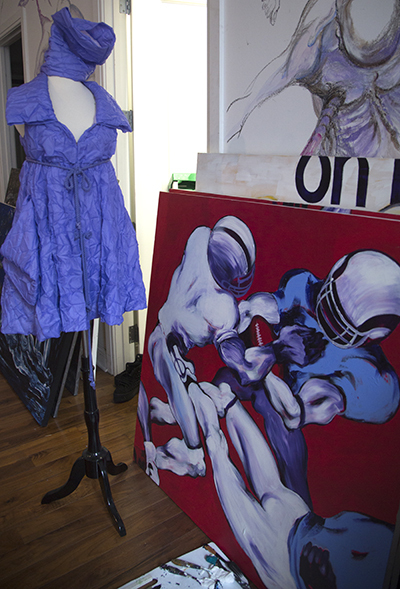 Art and Fashion Week will feature her paintings from new series. One segment of the exhibition will be dedicated to modern jewelry design and art. Kira Koktysh, Larisa Shamuradova and Vladimir Deming (professor of FIT), Marina Gershman use different approaches in technique and materials, but share the same desire to create truly unique products that emphasize the unorthodox personality of a woman who wears them. Kira draws her inspiration from nature and skillfully uses natural materials in combination with Swarovski crystals; Vladimir, who possesses a unique experience of a stage production artist and an impeccable artistic taste, creates incredible works from perspex, metal, glass and mother-of-pearl; Larisa is an embroidery and lace weaving virtuoso, who decorates her creations with precious stones and pearls. Marina Gershman will present her artworks on September 21st during the Trunk Show. Her unique scarves are hand painted, purses and bags are one of a kind fashion dolls are crafted and dressed meticulously and elegantly. On September 21, at the exhibition wrap-up, you will have a chance to make your dream come true and acquire an item that exists in a single copy, a jewelry piece or a clothing ensemble created for a NYFW runway show. Katya Leonovich will hold a couture clothing sample sale in sizes 0-4. If you don’t wear a runway model size, don’t worry – on the last day of the exhibition, September 21, all designer jewelry, accessories and artworks will be sold with a considerable discount. Becoming a proud owner of a unique artwork is a great way to emphasize your individuality! 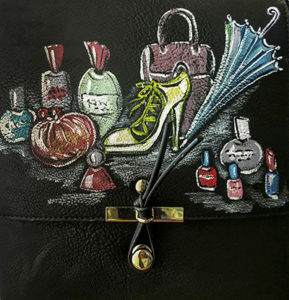 All exhibited designer items, products and paintings exist in a single copy. What’s also important, the organizers and the gallery do not take commissions from sales.